North Bangkok University is a tertiary education institution was opened in 2001 as the first year of teaching in the academic year. With the unwavering commitment of the management institutions. Will produce graduates who are qualified in both academic integrity and is a visionary. Knowledge can be applied. To suit the social and economic environment is being Important in developing country. And universities to zero. Science learning in the areas of technical services. Society, both at home and abroad. 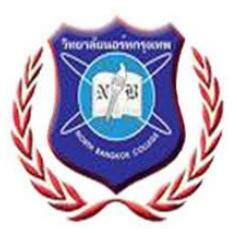 North Bangkok University is an institution that is experienced in The implementation of education for a long time. The University is well equipped. In teaching and learning. And has expertise in teaching integrated. That capture the essence of advanced technology. And enhance teaching. With a concentration in English. The university is an institution of higher education. Leading science in areas completely.